Just as winning sports teams do not operate within zones of comfort, so do boards of winning companies choose creative tension over harmony—the purpose being to develop a well-debated and articulated strategic direction while attempting to maintain organisational cohesion. The CEO’s interaction with board members and founders throws up challenges that need to be met with a well-considered response. Such interaction strengthens objective decision-making, and shaping breakthrough ideas into action plans, thus signifying the presence of an active and energetic board instead of a dour, rubber-stamping entity. In such circumstances, it is not incumbent on the chairman to reduce noise and eliminate debate in the board. Experienced chairmen know that constructive conflict can be a force for good and can promote effective collaboration between the CEO and the board members as well as the founders of the company, as it is usually built on mutual respect, involving everybody and favouring none. Why is ‘Voice’ better than ‘Loyalty’ in company boards? Many years ago a Yale psychology professor, Irving Janis, highlighted a phenomenon called “groupthink” that relates to the problem of biases in group decision-making that enforces the dictum, ‘Silence is golden and speech is silver’. Janis defined it as a deterioration of mental efficiency, reality testing and moral judgement that results from in-group pressures to preserve unanimity and abdicate effort to enforce objective, unbiased decision-making through the voicing of opinions and arguments. Perhaps Enron, WorldCom, Satyam and Kingfisher would have been different stories but for the phenomenon of “groupthink”. Therefore, the dominant shareholder and other stakeholder representatives on the board and executive as well as independent board members have an obligation of empowering while controlling managerial practice. They have the privilege of choosing to be a source of company inertia or facilitating adaptation and change. Whether it is Cyrus Mistry or Vishal Sikka, the individual at the top is subjected to a mechanism for organisational adaptation and is impacted by the formal and informal rules of corporate governance. Generally, CEO succession is a potentially disruptive activity for companies. Given the potential hazards and ambiguity surrounding the CEO succession and selection process, boards are likely to focus on controlling the accountability and reliability of the CEO vis-a-vis strategy implementation through company activities. In selecting the CEO, they might be internally or externally oriented. Conglomerates such as the Tatas have the practice of relying on insiders at the board level or the senior management level for the position of the top boss. Companies like Infosys have chosen the path of appointing an outsider to take on the mantle at the top. 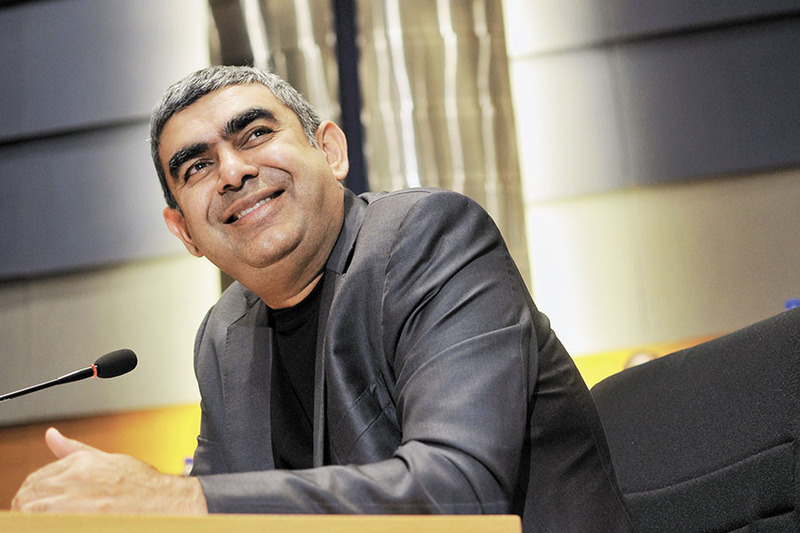 While on the other hand, the appointment of Vishal Sikka, a rank outsider to Infosys, can be seen as a trigger of organisational change. The succession of a new CEO provides an opportunity for realigning the company with the controlling interests of the board of directors. The CEO appointment reflects the interests of those who control the company. The contributions that board members offer are of two kinds: The service offered and the control exercised. The service role of the board involves enhancing the company’s reputation, establishing contacts with the external environment, and counselling and advising the CEO. The control aspect relates to evaluating the company and the management’s performance to ensure corporate growth and protection of shareholders’ interests. The directors’ job is to represent the shareholders and other stakeholders, not offer themselves as the rubber stamp of the chief executive’s ideas. Part of the problem is that many chief executives who are perceived as strongmen in the corporate jungle turn out to be wholly allergic to criticism. When faced with an incompetent managing director, the board should have the courage to act quickly and decisively in the interest of shareholders. Ultimately, it is the market response that regulates the seriousness with which corporate governance is taken. The market signals what it approves and disapproves of. When a company needs to reorient its business strategy, board members, and particularly the non-executive directors, have an important role to play. The composition and specific competencies of the board become critical under such circumstances. A special dimension gets added if, additionally, the organisation happens to be a public sector enterprise in the strategically important defence industry, such as Hindustan Aeronautics (HAL), which had to change its orientation from being solely focussed on defence to becoming a precision-engineering company as well. The presence of respected and successful personalities as non-executive directors on the board led to an improvement in the strategic thinking of the company’s internal executive directors. Requirements for quality board papers challenged functional directors to adhere to certain standards of content and presentation; professional rigour improved substantially in the level of participation and contribution by the executive directors and other senior management. The presence of non-executive directors and their queries (both actual and anticipated) helped to sharpen focus on aspects relating to cost/benefit analysis. Effective governance by the HAL board was enhanced considerably. In the private sector, founders of companies are venerable and vulnerable at the same time: Venerable for the past performance of the company and vulnerable to the pangs of separation from the management of the company. Their singular commitment to their initial ideas can limit future adaptability. For example, the limits that they may attempt to place on executive salary can limit the number and quality of executives that the company can attract. The founders’ commitment to this rule may cost the company substantial opportunities for growth. 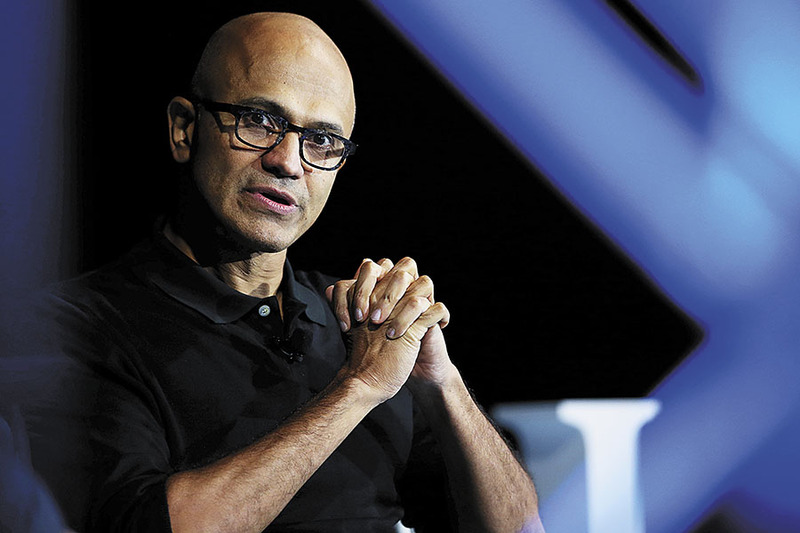 Founders could take a cue from what Bill Gates does with Satya Nadella. He is the prime technology advisor to Nadella, who is solely in control and accountable as the CEO. As in Microsoft, an alert, active board can provide the platform to sustain a cohesive organisation and its performance. The strategic priorities can be identified after considerable debate between board members and founders, their representatives and other stakeholders. A vibrant board recognises that the conflicting views and experiences of its members are, in fact, its greatest strength. The board presides over businesses that are more often than not highly competitive. With the most competent and experienced top-level managers as directors, the time-tested concept of doers as planners should be in play. Board meetings have to be utilised to ensure that the aspirations and performance of individual businesses are in complete alignment with overall company purpose. Boards of conglomerates like the Tatas perform the role of championing and exploiting strategic similarities to concretise the relatedness of different businesses under its umbrella. It influences creation of value through sharing of skills and resources, coordination of product ranges and other forms of mutual relationships across business areas. Therefore, the message is clear: There is no single model of board behaviour and composition that is valid for all times and all occasions. Punters will be familiar with the dictum ‘horses for courses’, which in many ways is equally true of company boards and their role. Boards should function in a manner that is responsive to the contextual requirements of the company, their competencies should be appropriately fine-tuned to meet such requirements either in terms of time availability or professional skills, and their contribution should be proactively anticipatory. There are different ways in which boards can and should perform their role under differing business circumstances. Interestingly, boards where the founders or retired chairmen continue to have their skin in the game must continue to internalise the capability to adapt to the environment. The board composition and functions provide a set of heuristics that facilitate strategic decisions. The situation is not dissimilar to natural selection. A species may be well adapted to a certain ecology, but changes in the environment may threaten survival unless mutation can produce characteristics that ensure survival. Boards presiding over corporates need to do precisely that to ensure their organisational survival and success. Prof. S Raghunath is faculty, Corporate Strategy and Policy, Indian Institute of Management Bangalore.